Eleven people, including a teacher, a driver, and nine students were on Tuesday arrested for being drunk and disorderly during an official school tour. According to police, the 11, all from Tala Academy in Machakos, were arrested at noon as they made their way to the Sarakasi Dome in Ngara, Nairobi where they were set to watch set book plays. 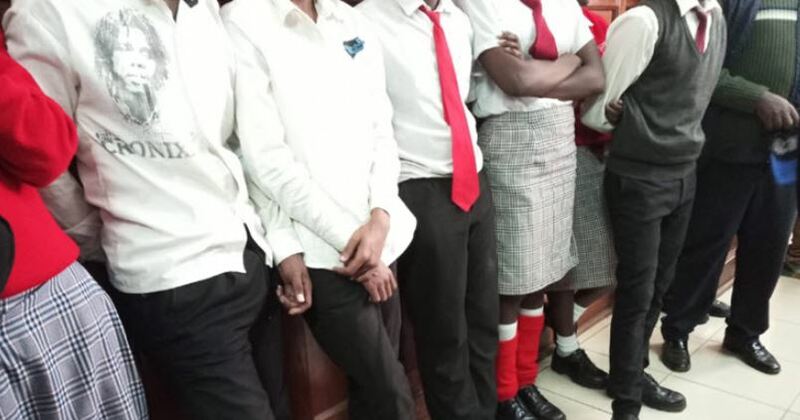 The students; four girls and five boys are said to have contributed money and bought several 750ml bottles of whiskey which they imbibed en-route to Nairobi. The students were confirmed to have been excessively drunk after being subjected to a breathalyzer test. On Tuesday, they were arraigned at the Milimani Law Courts in Nairobi but did not take a plea for the purpose of processing and determination of their ages. The students were detained and are expected to appear in the children’s court today, Wednesday, June, 13.